To get the districts they wanted, Democrats organized groups that said they represented communities, but really represented the party. No fewer than 35 Democratic politicians — including Minority Leader Nancy Pelosi — and their allies spent a total of $7 million to campaign against the proposition. The effort included mailings from faux community groups that derided the commission’s $1 million annual budget as “bureaucratic waste.” Despite this effort, Californians voted 61 percent to 39 percent to wrest federal redistricting from the hands of state lawmakers. This gave savvy players an opening to draw up maps that benefited one party or incumbent and then find — or concoct — “communities of interest” that justified them. Over the summer, Marks sent out more than 100 emails about redistricting, according to multiple recipients of the messages. According to House records, Marks earned $112,537 in 2010 in her post as deputy director of the California Democratic delegation. That makes her a federal employee. But although many of the messages were sent during the work day, a spokesman insisted Marks did so in her after-hours role as a political staffer for Democrats. They were sent from a Gmail account. Lofgren's office did not make Marks available for comment, citing policy that staffers do not speak on the record. Instead, they pointed to Rep. Lofgren's statement. More than 36,000 people applied. The state auditor’s office winnowed the applicants to a group of 60 finalists. Each party was allowed to strike 12 applicants without explanation. Then, the state used Bingo-style bouncing balls in a cage to pick eight commissioners — three Republicans, three Democrats and two people whose registration read “decline to state” (California-speak for independent). The randomly selected commissioners then chose six from the remaining finalists to complete the panel. The result was a commission that included, among others, a farmer, a homemaker, a sports doctor and an architect. Previous redistrictings had been executed by political pros with intimate knowledge of California’s sprawling political geography. The commissioners had little of that expertise — and one of their first acts was to deprive themselves of the data that might have helped them spot partisan manipulation. The commission received a torrent of advice — a total of 30,000 separate pieces of testimony and documents. Records suggest the commission never developed an effective method for organizing it all. The testimony was kept in a jumble of handwritten notes and computer files. The commissioners were often left to recall testimony by memory. 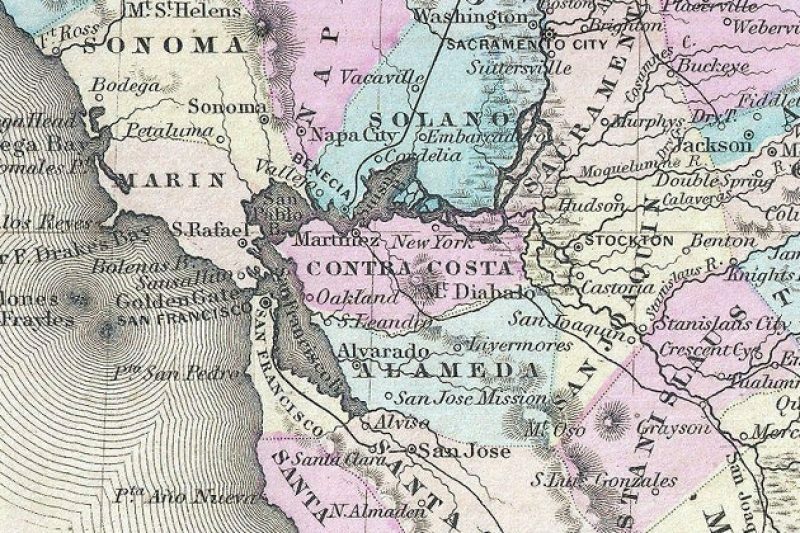 In fact, the only way to make a district with “one San Joaquin” was to pull in the Democrats in eastern Contra Costa — the far reaches of San Francisco’s Bay-area liberals. The budget for the whole map drawing undertaking was just over $1 million. At first, the commission had its public hearings transcribed — then the money ran out and they stopped. To make room for Rosemead in Chu’s district, South El Monte — 85 percent Latino — got bumped into another district across the mountains that is much less Latino, and much more affluent. The town’s mayor, Luis Aguinaga, say the new lines “don’t make sense.” South El Monte is now split off from sister communities in the San Gabriel Valley — including North El Monte and El Monte. Outside Los Angeles, residents of what’s known as Little Saigon begged the commission to undo what they saw as decades of discrimination and put the U.S.’s largest Vietnamese community together in one district. Instead, the community was split in two — a result of testimony by supporters of Rep. Loretta Sanchez, including a former staffer and one of her wedding guests, to get her a safe district. A large section of Little Saigon ended up in a district with Long Beach, a town that is 1 percent Vietnamese. "Congresswoman Sanchez believed strongly throughout the redistricting process that the population growth of the Latino community should be accurately reflected in the newly drawn congressional districts," said Adrienne Elrod, Sanchez's Chief of Staff, in a statement, "She's glad that members of the Orange County community shared her views, and as a result, was pleased to see them take an active role." The work he did on behalf of his diverse group of clients, he said, “created better maps — regardless of if they came with the additional benefit of helping some local city, union, or incumbent that was the client,” Mitchell said. Correction, Dec. 21, 2011: This story originally stated that the Asian population of Long Beach was less than 1 percent. It has been corrected to say that the Vietnamese population of Long Beach is 1 percent. The story also previously stated that Rep. Judy Chu previously served as a state senator. In fact, she served in the state assembly. This story originally stated the commission worked for free, with a small stipend for expenses. It has been corrected to say, the commissioners received $300 per day as compensation and were eligible for reimbursement of travel and out of pocket expenses. This story incorrectly described Doug Johnson as a professor at Claremont McKenna's Rose Institute. In fact, he is a fellow at the Institute.